Edited by Alburaq, 11 February 2019 - 18:51. Oh wow...never knew this was the 16's car reveal. Always thought it was odd....whenever I would see that clip, like why? EDIT: Better understood now with @Alburaq post. Edited by dn12005, 11 February 2019 - 18:54. You make it sound like Renault were surprised that they had to modify the car for C spec. That is obviously not true. Engines are on testbenches months before they are signed off. They knew they had to adapt the engine problaby 3-4 months before C spec was finalised. Cmon, they are not stupid. They were aware of this much earlier than RB an Mc. Probably bigger gains were predicted from spec c, but they could not reach it (with the required level reliability) and spec c delivered only 2-3 tenths reliably. Then they had to choose. And they sticked to spec b as we all know. Then why did they built spec C at all? Its either spec C didn't deliver as expected, or... we should believe that in France "Noblesse oblige"
And btw, Ghosn was pro-F1 envolvement... 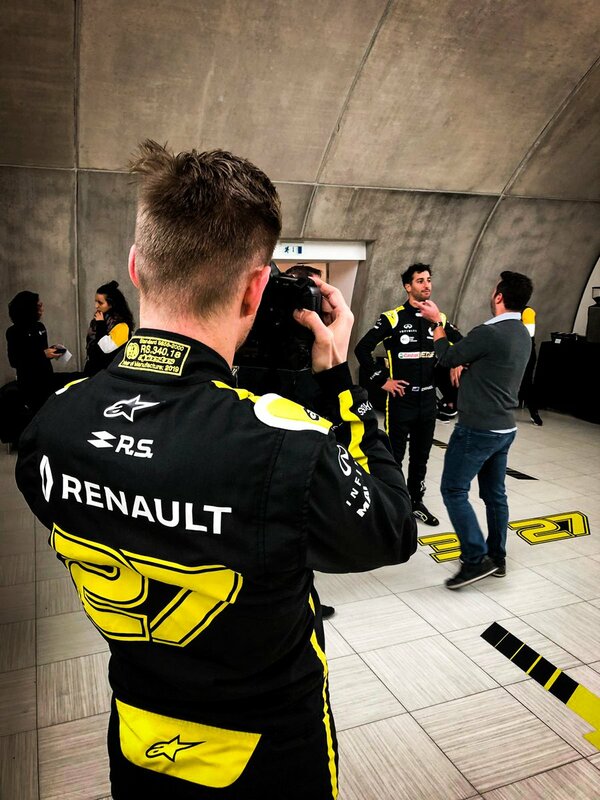 I guess we have to wait & see, but how good or bad is 2019 may decide the faith of RenaultF1 team. Because they expected a bit more juice from it. Developing current hybrid F1 PU is not for small workshops. Investments are incredible. Or more. Maybe the limits of spec c helped to improve this year's PU. So that money was not necessarily dropped out of the window. 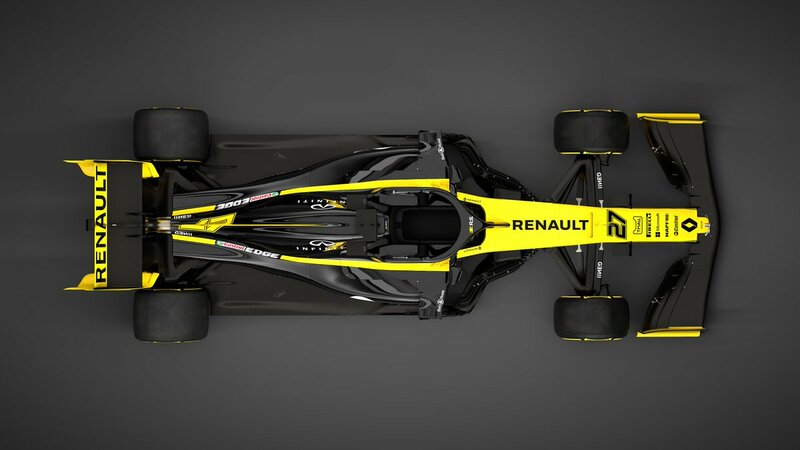 If you are surprised that PU manufacturers are continuously developing and sometimes they don't reach they targets (which happened frequently in case of Renault in the past - but this doesn't mean they will always deliver pos PUs, hopefully they have something really good in their pocket for 2019), then it's your problem. Because it's fake and doesnt have any purpose whatsoever. I'd rather wait to see actual car even if I need wait week longer to hit a track. Sick of frankenstein assembled cars or CGI'd cars which looks nothing like real car when it hits a track. Like I said I dont mind waiting. Marketing dept probably don't think it has no purpose lol. These launches are for news articles going out to the masses of millions, not the few F1 forum geeks. String of chromed - french blue down the upper cowling would be pretty sweet. 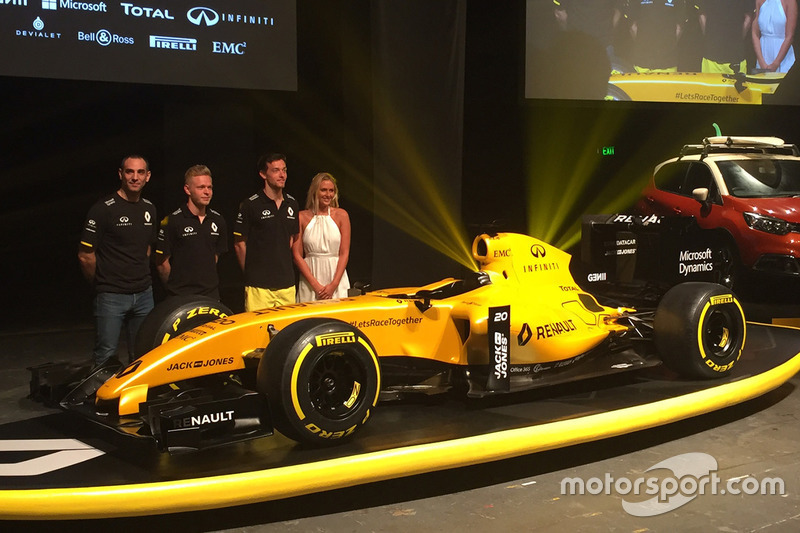 Glad they are more yellow then black - if that's what comes to be the actual livery. Edited by aportinga, 12 February 2019 - 02:09. Right then, first of the big guys. 3hrs 30 to go. Edited by TomNokoe, 12 February 2019 - 07:56. Looks like they only got a 'speech'? There is white in their new uniforms, hint to a more retro livery? Williams was yesterday. This is the first of the midfielders. Williams was yesterday. This is the first of the midfielders. this is the team to beat. The first of the top teams, the 2019 world champion, la crème de la crème. Edited by Alburaq, 12 February 2019 - 11:15. Haha. Im curious how they will manage. Edited by Beri, 12 February 2019 - 11:24. Edited by thegamer23, 12 February 2019 - 11:22. No live stream for launch, or? Amazingly **** job by their marketing.. splash 11:30 out as the time, everyone is watching at 11:30... annnd crickets. Missed the moment. Morons. FFS. Just release the car! 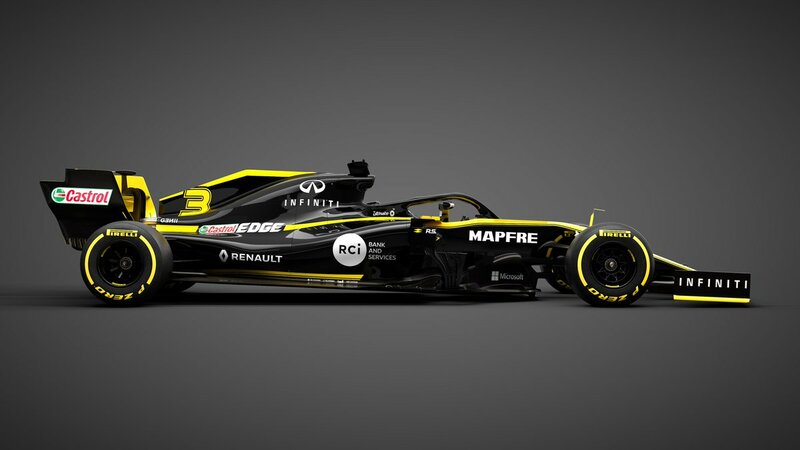 WHat's the point in not showing the real 2019 car? Edited by thegamer23, 12 February 2019 - 11:51. I'm not sure the marketing department are to blame if they're running late. 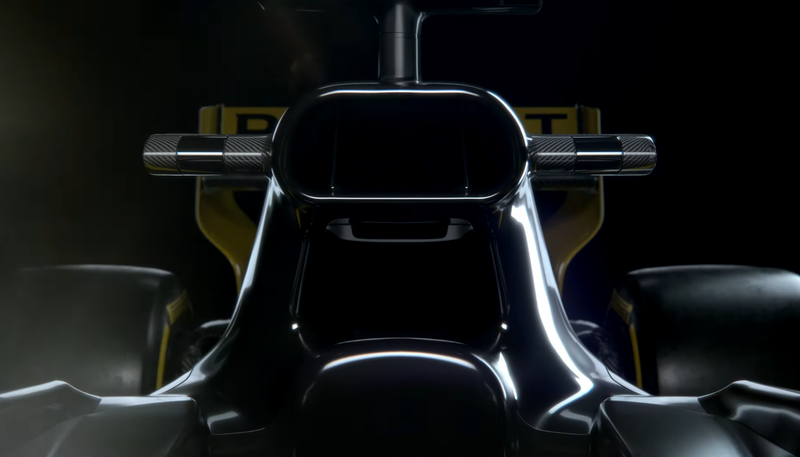 Front wing is interesting at least, looks different to the the others we've seen so far. Hum...looks exactly like last years livery wise. Edited by thegamer23, 12 February 2019 - 11:53. Video of the new car is on twitter feed now. 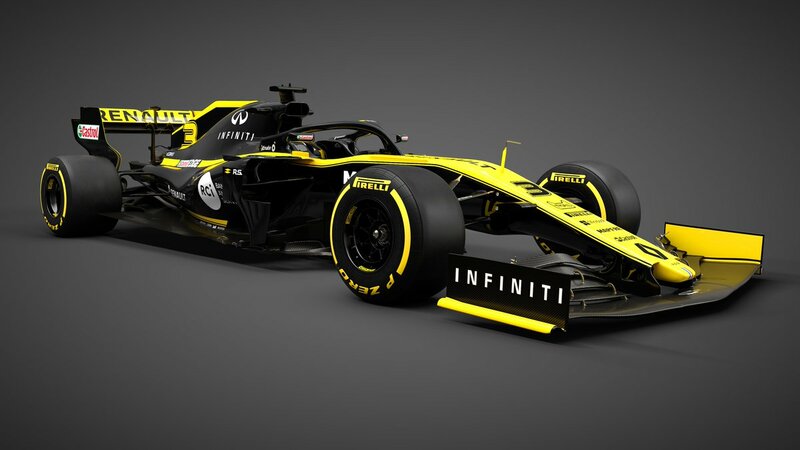 Not the livery though - that's a bit meh still - but from the sidepods back looks pretty tight. Edited by krapmeister, 12 February 2019 - 11:56. Edited by TheGoldenStoffel, 12 February 2019 - 11:55. A lot more black this time. While I really want 80% yellow it looks pretty cool. Edited by gowebber, 12 February 2019 - 11:56. Do you even rake brah? Check out the side on shot on twitter. what is there to launch? Edited by TomNokoe, 12 February 2019 - 11:56. At last a proper livery. Wound have liked a lot more yellow personally, but it's not horrible by any means. 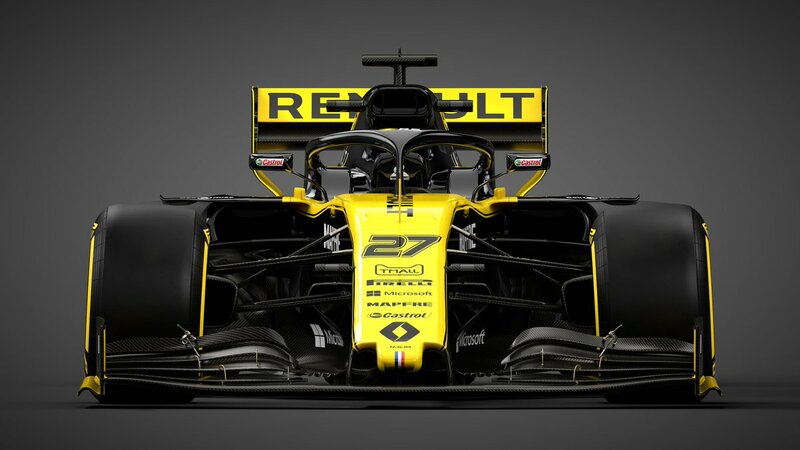 2018 livery had a yellow wing, yellow sidepods, black endplates.. there is a lot of difference. Livery is almost the same as last years with some differences on the wings. That front wing looks a lot more detailed than on any of the other cars so far. And it looks like they’ve adopted the ferrari style air intakes on the side high enough to clear the suspension. Beyond that my eyes are not well trained enough to pick out the differences. I'm underwhelmed by the livery, I do like it from the front though. More yellow would be welcome but I loved the 2018 scheme anyway so I'm not complaining. Unlikely. There's a lot of yellow at the 3/4 angles. Nice to see they've properly coloured the numbers in this year. They were hard to read last year. Edited by gowebber, 12 February 2019 - 12:03. Looks like they collect a lot of air just above the helmet. Edited by thegforcemaybewithyou, 12 February 2019 - 12:04.